Is there a better alternative to Super Resize? 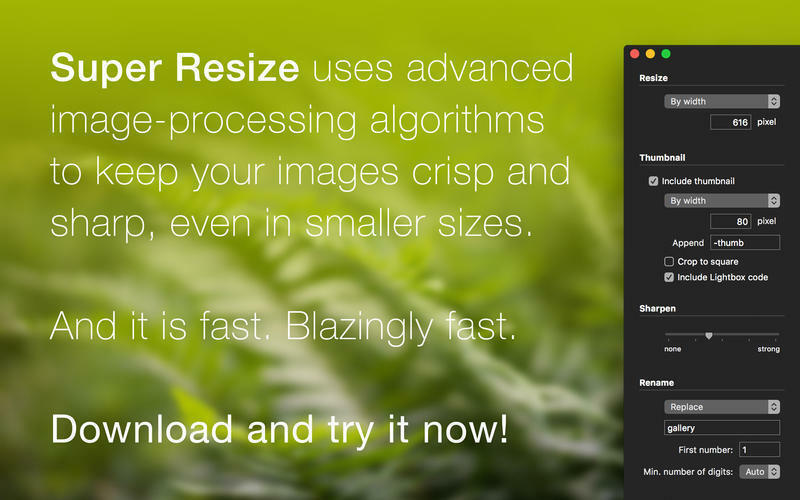 Is Super Resize really the best app in Photography category? Will Super Resize work good on macOS 10.13.4? 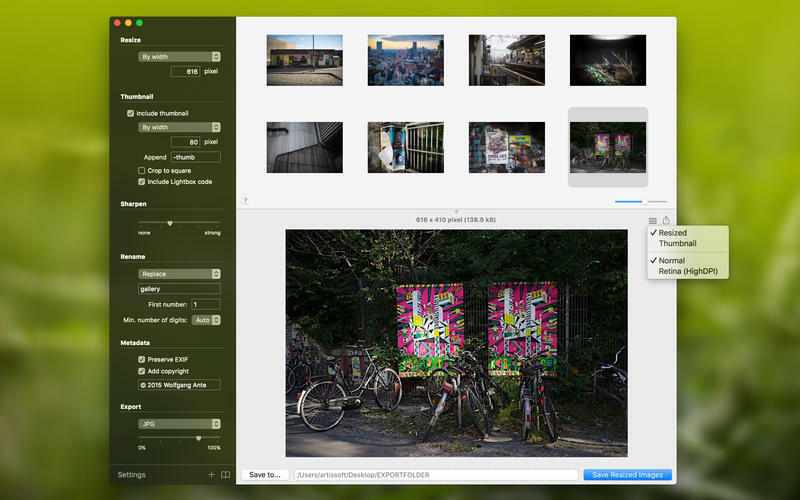 Super Resize quickly allows you to resize your images, add thumbnails automatically, and create the code for a web gallery alongside. With an emphasis on image quality. 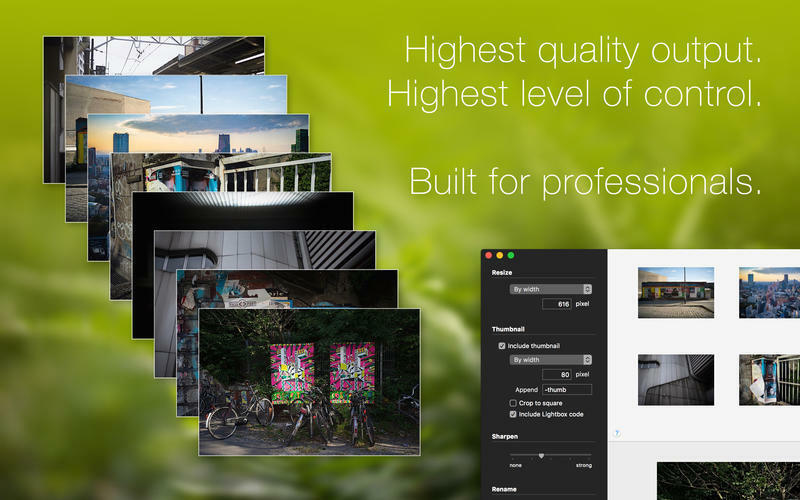 Because you don't want your resized images to be blurry and lose all detail. Preview everything before you export. File sizes, compression, thumbnails. Highest quality output. Highest level of control. Built for professionals. Super Resize needs a rating. Be the first to rate this app and get the discussion started!